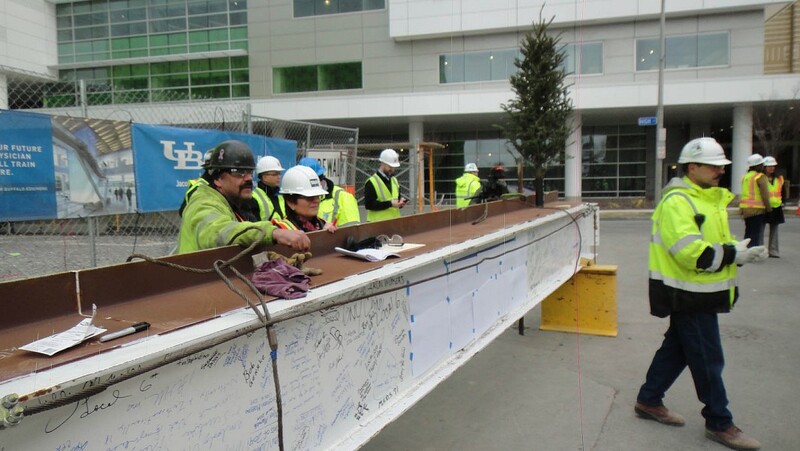 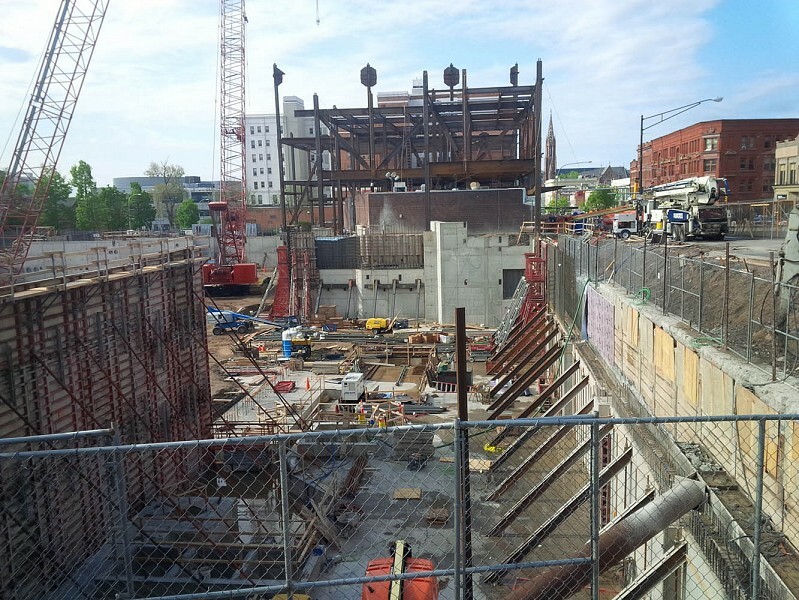 YAS is the sole structural engineer for the new 628,000sf medical school at the University at Buffalo. 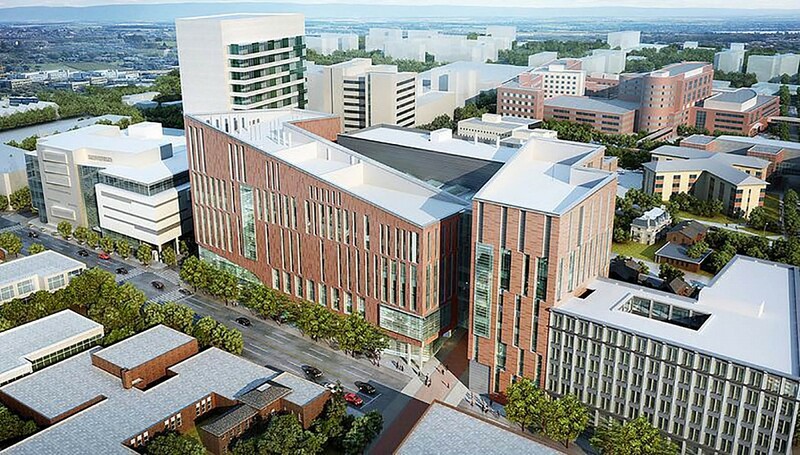 Expected to be completed in 2017, the Jacobs School of Medicine and Biomedical Sciences will bring 2,000 UB students, faculty, and staff to the bustling downtown area of Buffalo. 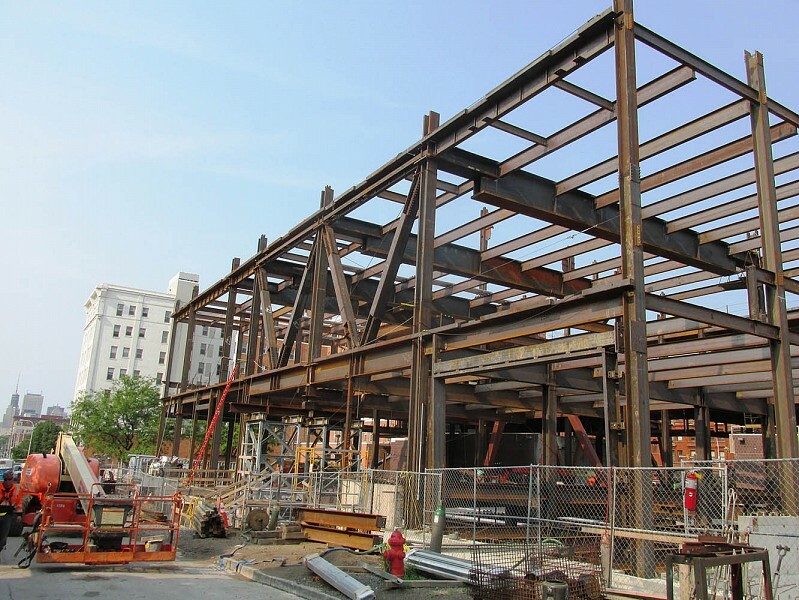 The expected increase in population will enrich the city creating opportunities for retail and housing development, incubators, research parks and more. 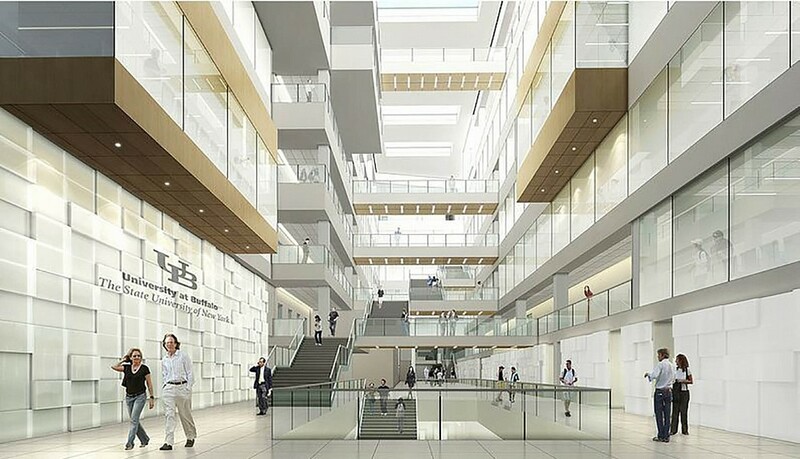 The campus design consists of two L-shaped steel structures linked by a 7-story, light-filled glass atrium. 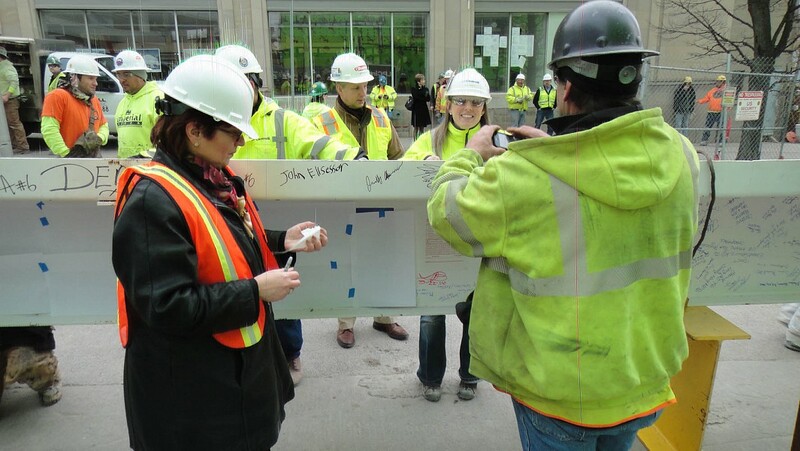 This 8-story state-of-the-art facility, which targets LEED Gold certification, features a high-performance terra-cotta rain screen and a glass curtain wall system that brings daylight deep inside the building. 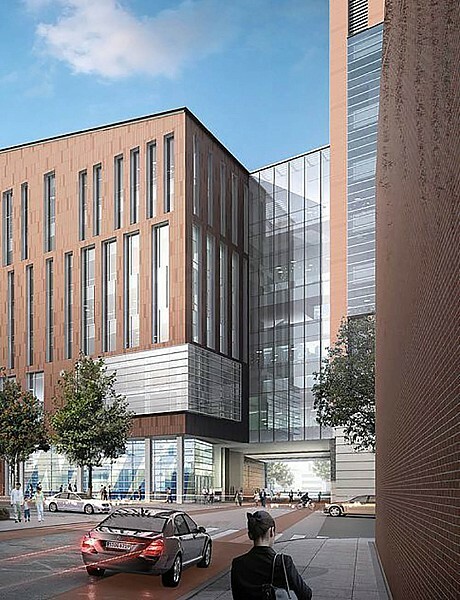 Once construction is completed, an enclosed sky-bridge will be built to connect the medical school with the adjacent Buffalo Niagara Medical Campus building. 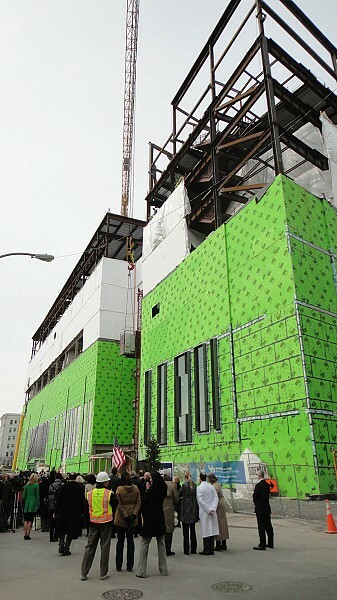 The new medical campus features an expanded patient care simulation center for clinical, surgical and robotic surgery training as well as three floors of state-of-the art research lab that have the stringent vibration criteria. 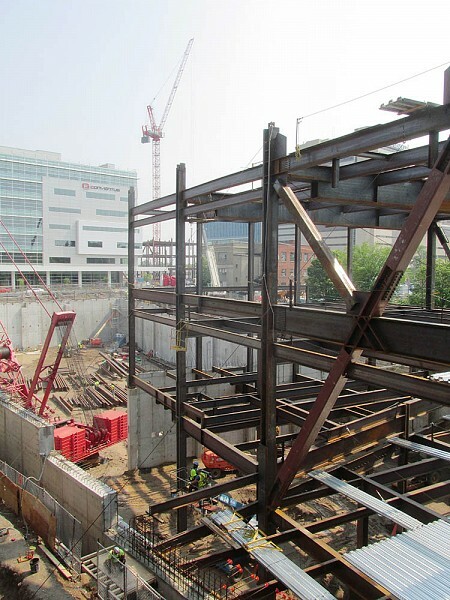 The NFTA Allen Street transit hub on the medical school’s ground floor provides convenient mass transit access, furthering the development of a sustainable, vibrant community. 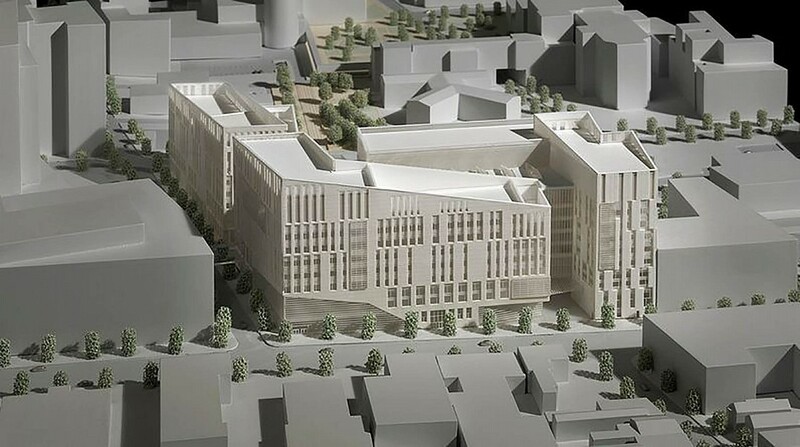 “This project will strengthen the Western New York economy while better connecting thousands of students and faculty with world-class research and development opportunities for decades to come.” - Governor Andrew Cuomo.